Currently, using Merseyrail‘s Wirral Line, a journey between Liverpool Lime Street and Chester stations takes around forty-five minutes. This time will improve by several minutes, when the new Class 777 trains come into service in a couple of years. In Slow Trains Outside The South-East, I calculated that this time could be as low as 35 minutes. But how fast could a train go between Liverpool Lime Street and Chester stations, using the Halton Curve, when that comes into use in December 2018? West Midlands Trains take nineteen minutes to go between Liverpool Lime Street and Runcorn stations with a stop at Liverpool South Parkway station. The current parliamentary train takes twenty-one minutes between Chester and Runcorn stations using the Halton Curve. Transport for Wales will run the route with their new 100 mph CAF trains. It should be possible for the direct trains to do the trip between Liverpool Lime Street and Chester in under forty minutes, with stops at Liverpool South Parkway, Runcorn, Frodsham and Helsby stations. As to the frequency of the service between Liverpool Lime Street and Chester stations via the Halton Curve, under Improvements in the Wikipedia entry for KeolisAmey Wales, these services are listed. So it looks like there will be at least a train every half-hour between Liverpool Lime Street and Chester. 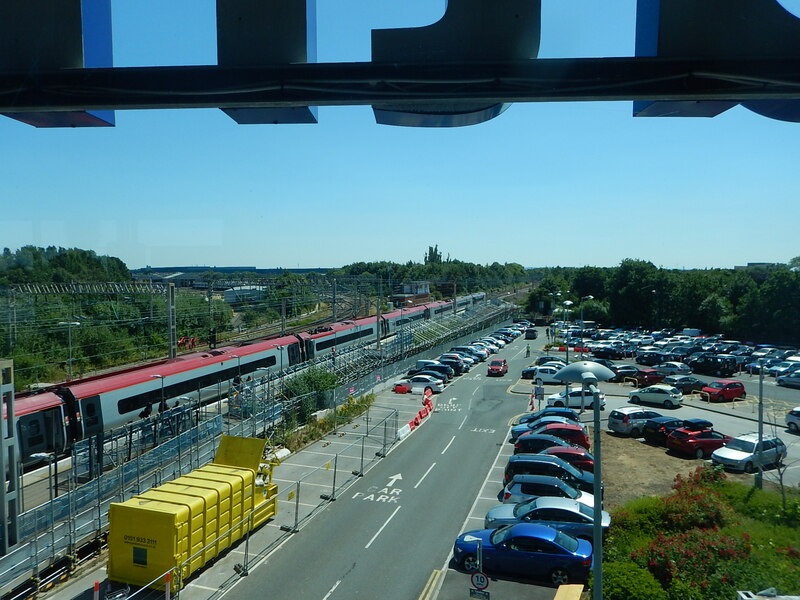 One advantage of using the Halton Curve, is that as trains can call at Liverpool South Parkway station, it would be possible to provide a direct link to Liverpool Airport. Merseyrail are looking into the possibility of using tram-trains on this route. Virgin Trains take forty-eight minutes between Chester and Llandudno Junction stations. Virgin Trains take ninety-nine minutes between Chester and Holyhead stations. Currently, Liverpool to Llandudno takes between 110-120 minutes with a change at Chester station. I wouldn’t be surprised to see timings of direct trains between Llandudno and Liverpool Lime Street stations in the order of an hour-and-a half. Electrification is the big question, hanging over railways in this area. Merseyrail already runs electrified services to Chester on the Wirral Line and the following routes have been earmarked for electrification. If the latter were to be electrified, then only the relatively short Halton Curve would need to be electrified to create another all-electric route between Liverpool and Chester. If Chester station, were to be electrified, this will have possible consequences for KeolisAmey Wales, as all their services Eastwards from Chester to Birmingham, Liverpool and Manchester would be running on fully-electrified routes. So will KeolisAmey Wales order some of new CAF trains with a bi-mode capability. This capability could also be useful in South Wales. The upgrading of platforms at Liverpool Lime Street station seemed to be progressing well as I passed through. Work even seems to have started on the second platform for Virgin services, which would allow two trains per hour. Extra platforms will also allow direct Liverpool to Glasgow services. In some ways, the Grade II Listed station, will become the first station in the North ready to be ready for high speed trains from London and across the North of England. The title of this post is the same as the title of this article on the Rail Technology Magazine web site. Liverpool Lime Street will remain “open for business” whilst it undergoes major work this autumn, Network Rail has today reassured passengers in the region. 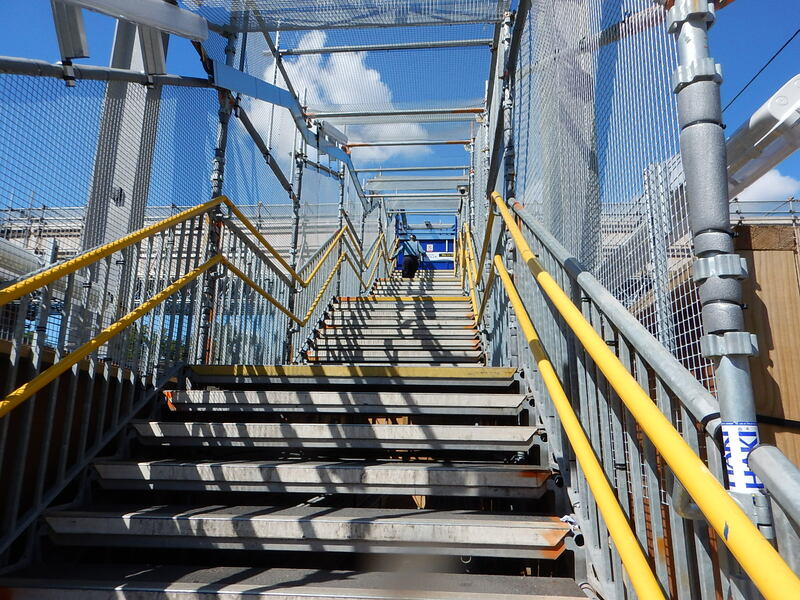 The latest stage of work will take place between 30 September and 22 October in what is one of the biggest upgrades the station has seen since the 19th century. The station upgrade is part of a £340 million railway investment in the Liverpool City Region. This document from Network Rail describes the scope of the project in detail. These are some extracts from the document. services from Liverpool to Glasgow in 2019. Better east-west connectivity to and from Liverpool. New services to Chester via Liverpool South Parkway and the opportunity to develop more routes into North Wales in the future. New station facilities and interchange at Newton-Le-Willows. A new station at ‘Maghull North’ to support growth in passenger demand. New signalling which will improve the reliability of the network and speed up decision making to minimise disruption. Works to facilitate the running of new trains on the Wirral and Northern lines. Liverpool Lime Street station will be getting a major upgrade consisting of the following. Two new platforms between the current platforms 7 and 8. This should enable another three trains per hour to be handled. It’s over fifty years since I first arrived in Lime Street to go to Liverpool University and the station has changed a lot in those years. Network Rail are saying, that this upgrade will cope with the doubling of passenger number expected before 2043. The upgrade will mean that at times during the works, trains into Liverpool will not be able to access Lime Street. 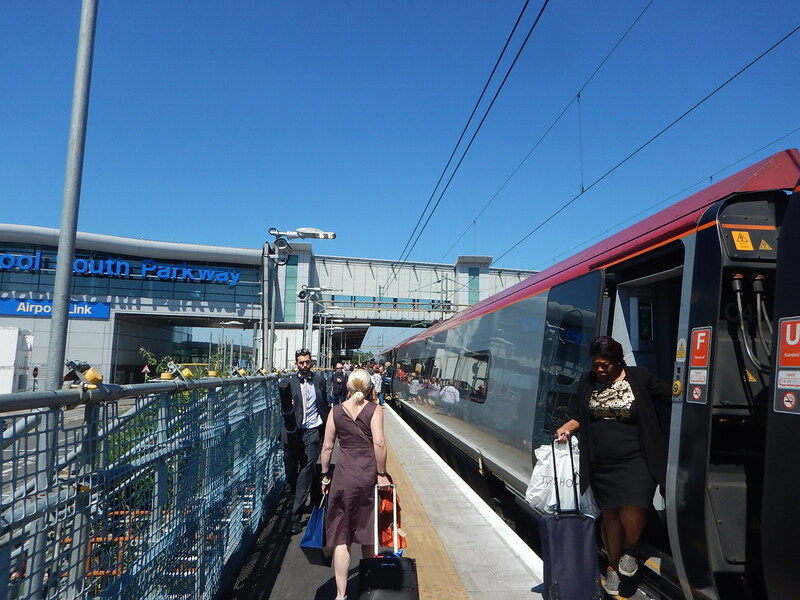 So some trains will terminate at Liverpool South Parkway station from where passengers can take Merseyrail’s Northern Line to the City Centre. How many of our large cities can cope, when the main station is closed? Glasgow proved they can, when Queen Street station was closed. London is managing biow, with mahor works going on at Waterloo. Manchester’s ability to cope will surely be greatly improved when the Ordsall Chord opens. Birmingham seemed to manage during the rebuilding of New Street station. Newcastle has the Metro to help. Sheffield has a second station at Meadowhall. Would Leeds be the city to struggle? Liverpool will probably cope well, as there are various rail routes into the City, that avoid Lime Street, most of which have four trains per hour. I always remember the Liverpool Bus Strike of around 1967. Liverpudlians just walked, as did most of the students like me, who needed to get into the University. I don’t think, it will come to walking this time, as Network Rail have promised quality buses. There is a lot of work to do, but after the example of Waterloo, it is likely to go fairly well to plan. But there will be a few hiccups.